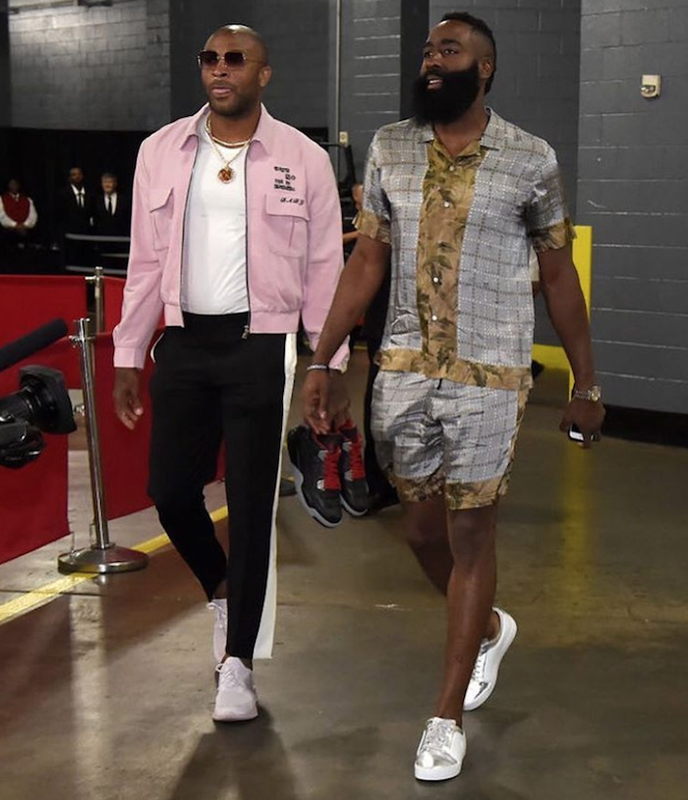 James Harden has done it again, and I'm not referring to scoring a jaw dropping amount of points in a playoff game, I mean pull off high fashion better than anyone else. The all start player was cool as a cucumber in a Dries Van Noten mixed print ensemble. Only James can puoll off the wear your pijamas to work trend for pregame on round two of the playoffs. James Harden is wearing a Dries Van Noten carlton shirt, matching piper bis shorts and Chanel sneakers.